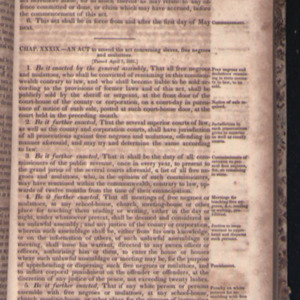 Act to Amend the Act Concerning Slaves, Free Negroes, and Mulattoes. 7 April 1831. Acts Passed at a General Assembly of the Commonwealth of Virginia. Richmond, 1831. 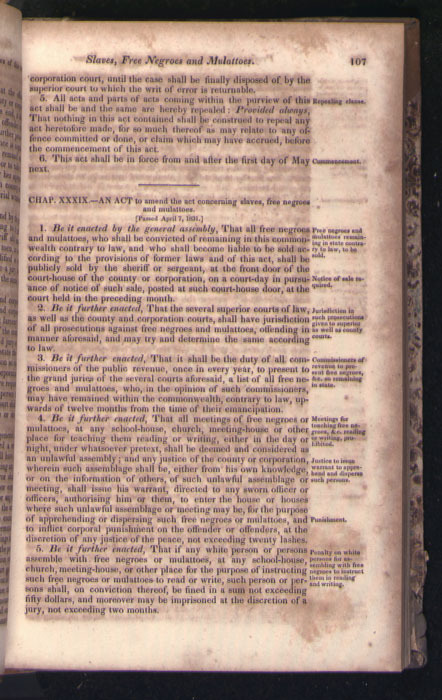 “Literacy act,” University of Virginia Library Online Exhibits, accessed April 26, 2019, https://explore.lib.virginia.edu/items/show/602.